Rent one of our electric or non-electric mountain bikes with extra-wide tires and prepare yourself for some snowy off-road adventures. The tires are ideal for smooth, steady and easy cycling on snow, ice, sand and mud, making it easy to enjoy both the wintery cycling routes, as well as the 12 kilometres of off-road trails maintained for winter-time mountain biking. Levi offers three maintained mountain biking trails during the winter season which are accessible directly from the Levi village. 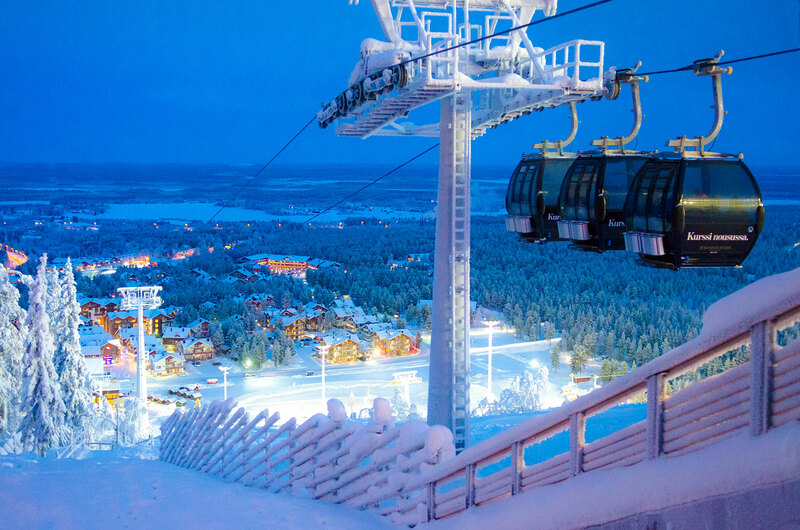 The Front Slopes route begins near Kids' Land and the other routes towards the Kätkätunturi fell and Lake Immeljärvi begin right next to the offices of Levi Travel and Kinos Safaris (street address Myllyjoentie 1 and 2). 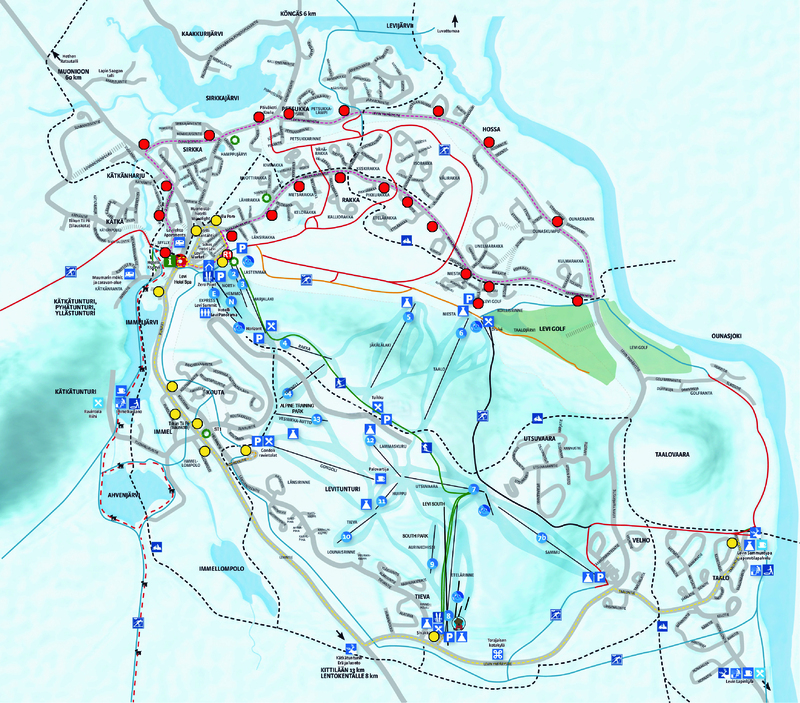 You can also access the routes from South Point (Levin ympärystie 1050) and Restaurant Draivi (Golfväylä 9), both of which have large parking areas for your car. You can rent fatbikes for adults, teenagers and children at the Activity Park rental. Cycling helmet is always included in the rental price. All of our fatbikes are equipped with a headlight and a safety reflector. The available non-electric fatbike brands include Trek, Charge, Silver Back and Haibike. We also rent out electric fatbikes by Haibike. You can rent fatbikes for adults, teenagers and children at the Activity Park rental. Cycling helmet is always included in the rental price. All of our fatbikes are equipped with a headlight and a safety reflector. 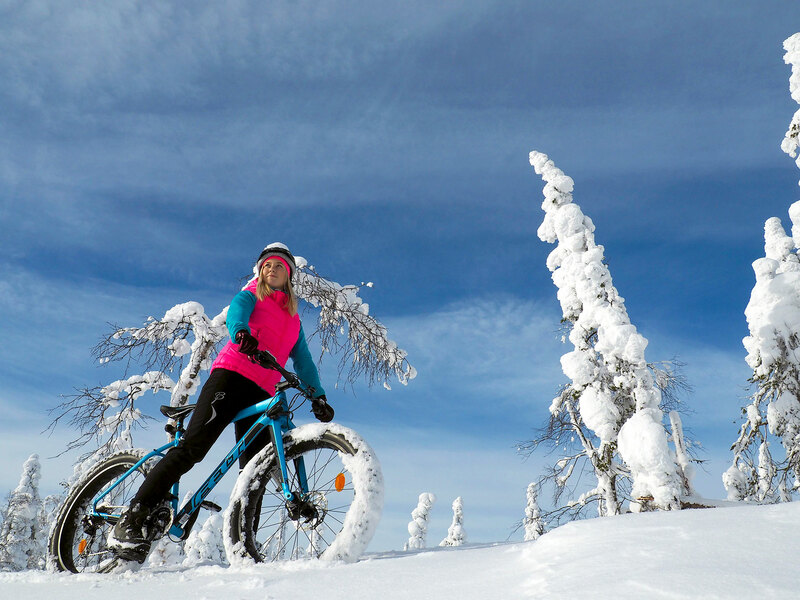 Levi offers three maintained mountain biking trails during the winter season which are accessible directly from the Levi village. Whether you feel like fast food or enjoying a delicious dinner, Levi has plenty of restaurants to choose from. Find the most convenient choice for you and your friends. Hop on a fatbike and experience Levi fell in a new way.